Selena Thinking Out Loud - Products Review Discounts Giveaways: Winner Announced! For The Luck of Liberty Giveaway Hop at Selena Thinking Out Loud With Purpose! Winner Announced! 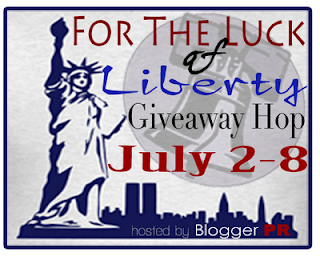 For The Luck of Liberty Giveaway Hop at Selena Thinking Out Loud With Purpose! Selena Thinking Out Loud With Purpose has a winner for our $25 Amazon Gift Card in the For the Luck of Liberty Giveaway Hop that was held July 2-8!